Welcome... You have landed at the right site! We are the Global Vantage Training Experts! During the last Ten years we have trained over 5000 Vantage delegates in many countries including UK, Denmark, Norway, Netherlands, Trinidad, Indonesia, Africa, Alaska and India. We have trained staff at 35 Oil & Gas companies, contractors and many self funding private students. We offer UNLIMITED SUPPORT after training. We have a tailored approach to training to suit YOUR requirements. Corporate or private, standard and advanced features are taught by real experts, using realistic scenarios. We use 'live' installations to make the training experience as real as possible. 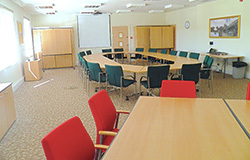 Courses are run weekly at the beautiful Banchory Business Centre using state of the art facilities and easy parking. Our training environment is highly conducive to learning set in a beautiful and tranquil countryside setting. We also offer Vantage training at Fraserburgh and at Norwich Airport, availing ourselves to SaxonAir’s excellent facilities within the Klyne Aviation Business Park. Our Banchory facilities are 20 minutes from Aberdeen. All Rennie Communications Trainers have been accredited by the Learning and Performance Institute with Member level allowing professional recognition and use of LPI nominal. Membership of The Learning and Performance Institute demonstrates our commitment to both our own and the industry's professional development. Institute membership sets us apart from other learning professionals giving us industry recognition of our skills, experience, professionalism and quality of Training. Copyright © 2019 Rennie Communications Ltd. All rights reserved.